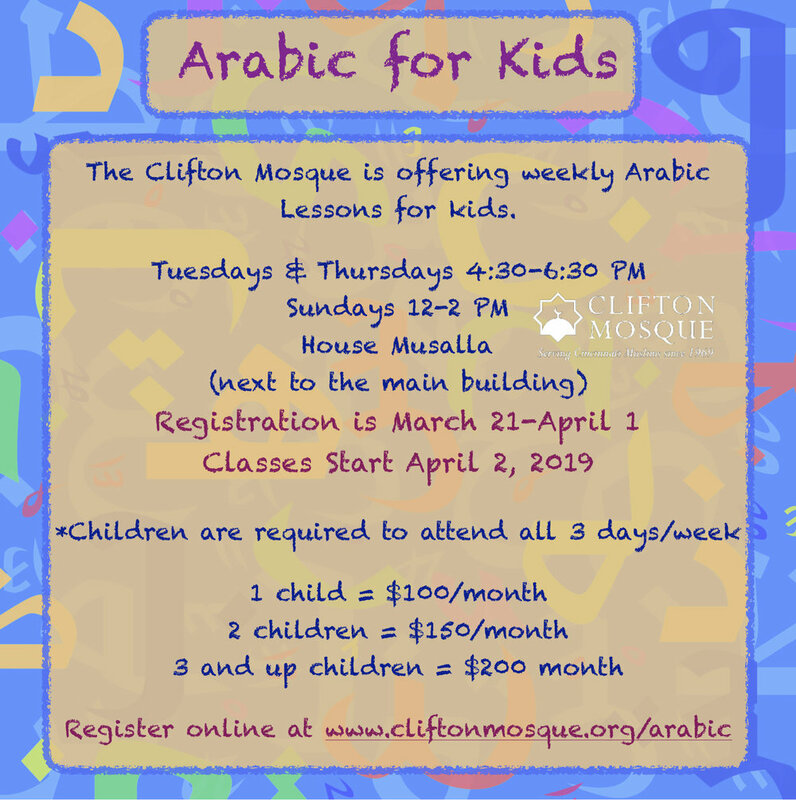 Clifton Mosque is offering an intensive program for Kids to learn Arabic. The month of April will be the trial run for this program. Registration is from March 21-April 1st. School starts April 2, 2019. Students must be between 4-14 years of age for this program. This class is based on traditional and hands on learning techniques. Students will be in classes based on their levels, with a maximum of 8 students per teacher. Students learn the alphabet, how to read and write, and sentence structure. They will do reading of stories for fluency and understanding.